Last week, Tesla announced that it was pursuing an acquisition of SolarCity, the troubled solar-panel leasing company that’s run by Tesla CEO Elon Musk’s cousin, Lyndon Rive. And on Monday, SolarCity said that it formed a committee of independent directors to evaluate the deal. That’s because Musk is the largest single shareholder of both companies, and is the Chairman of SolarCity. Actually, Musk and Rive have said that they will recuse themselves from voting on the deal. Anyway, SolarCity is a $3-billion bite for Tesla, in an all-stock transaction that would add — brace yourself — over $3 billion in debt to Tesla’s balance sheet. If this looks like a SolarCity bailout — the solar-panel leasing company has seen its market cap, now $2.25 billion, sawed in half since last year — that’s because it is. The deal might looks outwardly vexing, and the post-announcement analysis has suggested that Tesla is doing something wrong here. It’s not though. It’s actually following through on promises Musk has made over and over again for the for the past half decade. If you’ve been paying attention, you could have seen this one coming, although you probably thought Tesla and SolarCity would become closer partners, not that Tesla would take charge. So why is Tesla doing this? It certainly doesn’t seem to be in order to enhance shareholder value. 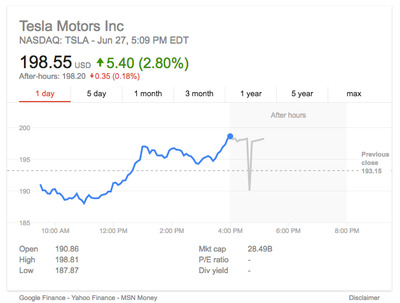 Tesla stock dived when the news broke. 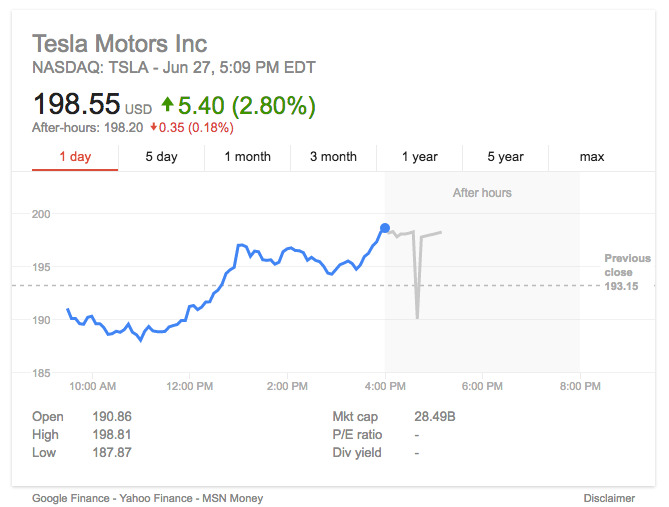 But it’s never been clear that Tesla cares much about shareholder value. Rather than please investors or vindicate the ratings and target prices of Wall Street analysts, the electric automaker is playing a longer game. The stock just helps it get there, by providing a way to raise capital, as it did recently and also last year, and to be used as a form of supercurrency to sustain Musk’s vision of a world freed from fossil-fuel dependency. Screenshot via Google FinanceTesla has lost billions in market cap. SolarCity is integral to that vision, even if it’s Musk’s most under-the-radar interest (it’s hard to compete with the car of the future and a SpaceX mission to Mars). And that’s what everybody is missing here. Because with this bid “Tesla” is trying to become what Musk probably wanted it be all along: an integrated holding company providing global-warming solutions. If the SolarCity deal goes through, Tesla will be: a carmaker; a battery maker, thanks to the Gigafactory being built in Nevada; an energy storage company, thanks to Tesla Energy, unveiled last year and selling residential battery packs; and a solar finance firm. Put all that together under one roof and you get a company that can sell or lease you a zero-emission, off-the-grid lifestyle. 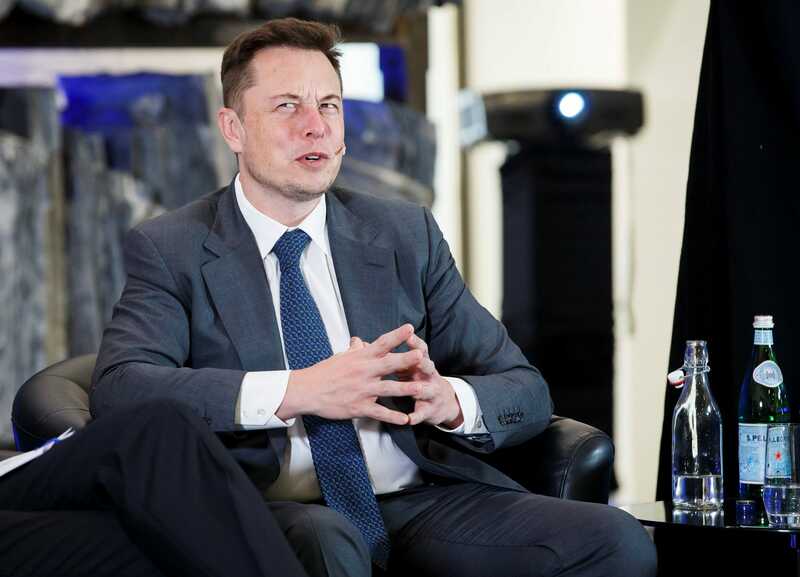 Plus, Musk rescues his SolarCity investment in the process. But there’s nothing surprising here in the master plan. Musk has always thought of the companies he’s involved with as a single mega-investment. It only makes sense to use the stock of one to keep another one going. Yes, all that debt could eventually be a major problem for Tesla. Tesla is already burning cash like crazy, as it tries to go from building 50,000 cars per year in 2015 to building 500,000 annually by 2018. And SolarCity is incinerating cash. So that debt load that Tesla would be taking on isn’t going anywhere. Shareholders could rightly accuse Musk of hanging a $3-billion anchor around Tesla’s neck. Of course, shareholders could also vote against the deal, or if they don’t think loading Tesla up with another company’s debt is a good idea, they can sell their shares. Because if Tesla can really save the world, from Musk’s perspective, taking on all that debt have been worth it.